As governments worldwide are looking for ways to raise revenue to finance their budgets, consumption taxes such as Value Added Taxes (VAT) and Goods and Services Taxes (GST) are increasing in prominence and now exists in over 150 countries. 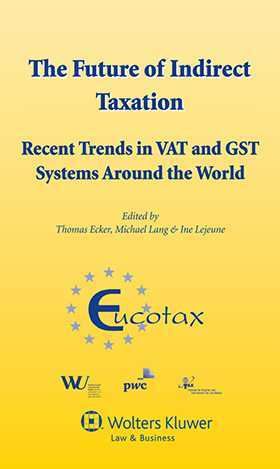 This book compares the VAT/GST systems of 20 countries around the world, with all continents, represented, plus the EU VAT regime. This analysis is organized in a way that allows interesting and specific details of each VAT system to be identified while at the same time rendering them comparable despite their structural differences. It identifies best practices and gives readers some thoughts on future directions of VAT/GST. This book is a valuable resource for regulators and practitioners, to deepen their understanding of the various tax systems and how certain issues are solved under different regimes, in order to encourage international trade and lay the groundwork for the removal of tax obstacles and related costs in global commerce.